Musha Cay is one of 11 islands known as Copperfield Bay. For those who keep a bucket list, there is no time like the new year to check off the progress. For experienced wanderers or experienced dreamers, there are plenty of special places yet to be crossed off on life’s to-do list. According to a recent survey conducted by AARP, travel is the top aspiration for Americans of all ages, not just baby boomers. Research shows that boomers are expected to take four to five leisure trips in 2019 and spend more than $6,600. Gen Xers are forecast to spend $5,400, and millennials $4,440. With a strong U.S. economy still in motion and favorable currency exchanges afoot, 2019 may be a bucket list year for many Americans. For those in need of some inspiration or timely recommendations, here’s a starter list to spark the imagination. Why Go: Seeing Africa is possibly the top bucket list wish for any would-be traveler and one that, done well, can reward the soul seeker in unexpected ways. Africa’s tough climates, tough economic conditions and rapidly expanding populations mean diminishing numbers for wildlife species that once ruled these plains. A bucket list trip to Africa through Great Plains Conservation Safaris means not only seeing Africa, but saving it, too, through some rare people to people and natural sciences programs available through this vacation option. What to Do: Great Plains takes visitors who want to experience the great nature of Africa before it disappears deep into the wilds of Kenya and Botswana on immersive “glamping” trips that leave barely a footprint. Guests are, for that time, as much a natural part of the landscape as the animals and local people that live there. Recommended is a trip to Duba Plains Camp in the heart of the Okavango Delta of Botswana. It’s been described as Africa’s Garden of Eden with its matrix of palm-dotted islands, flood plains and woodlands. Duba Plains Camp offers five bespoke tents as well as a separate two-bedroom suite, all calling up the romantic African safari style of the 1920’s. 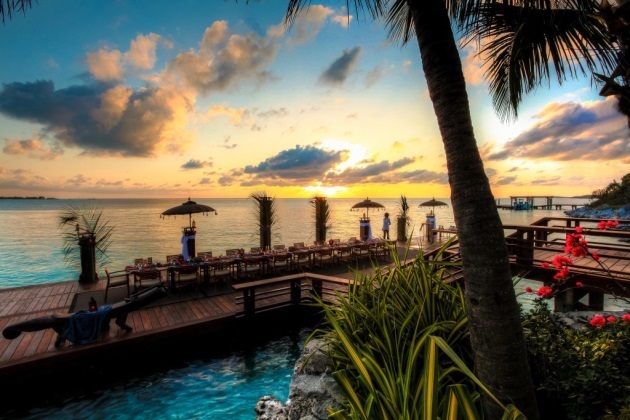 Expert Tips: Photography is in focus for guest experiences. While high-powered cameras are available at some camps for guests use (and guests at all camps can rent special professional camera equipment), specialist photographer-guides are available (with advance notice) to meet guests and help them work the equipment and improve their photography skills. This amenity is also available at the beautiful Duba Plains Camp in Botswana. All reservations are individual, made according to guest wants and timelines. Why Go: What’s a life gone by without a stay at the magic island of Musha Cay? This private island resort in the Bahamas’ Exuma islands is one of the true life works of master magician David Copperfield, who ensures every guest gets all the privacy possible as well as an ongoing show in entertainment, food, sublime surroundings, and exquisite attention to detail. Only 24 guests can stay here and they have the natural — and the preternatural — settings all to themselves. Strange magical display, sleight of hand, and an array of elements that spark childlike wonder are put in motion during the stay. What to Do: Go on a treasure hunt, watch movies by the waves; explore outer islands and have a picnic on a deserted beach. Expert Tips: Be like Oprah, Sergey Brin, Bill Gates and other titans of our times by having a private celebration there with two dozen of your best friends. Why Go: Stay in a revamped 17th-century mansion tight in the middle of Old Town Cartagena, a town that is, in itself, a UNESCO World Heritage living museum. Casa San Agustin, a member of Leading Hotels of the World, offers 30 suites and guestrooms in what are actually three restored manors surrounding a stunning brick courtyard and pool. Each accommodation is its own design and opens to a view of the street or garden. Guests become part of this 15th century colonial settlement and can still experience the confluence of European, South American, African and Caribbean cultures that created it. What to Do: Enjoy the mixture of cultures found in the foods, architecture, traditions and music of this great city. The hotel is right in the middle of town, close to restaurants, museums and the ramparts that protected this port for centuries. Expert Tips: Try the Cartagena-style seafood chowder at Casa San Agustin’s Alma Restaurant. It’s a deliciously soft medley of lobster, shrimp, octopus, prawns and mussels, using coconut milk and a mound of fluffy rice. Yoga at Villa Manzu on Peninsula Papagayo in Costa Rica. Why Go? Costa Rica is easy to get to, easy to navigate and replete with adventurous, eco-focused experiences while not forgoing luxury. Got friends? Whether a wedding, celebration or just a perfect getaway with buddies, Villa Manzu is a private mansion on the water with eight master suites, private chef and dedicated staff, within a complex of top resorts close to Liberia International Airport. What to Do? The villa comes stocked with comfortable jeeps and SUVs and private drivers to take guests near and far. Zip line through the Witch’s Rock Canopy Tour nearby. Expert Tips: Sometimes doing less is more and relaxing on the sands of Villa Manzu’s private beach cove is one time when this rule of action pays off brilliantly. Have a private yoga session on a patio over the beach. These and any number of sea creatures can be seen at Pikaia. Why Go? 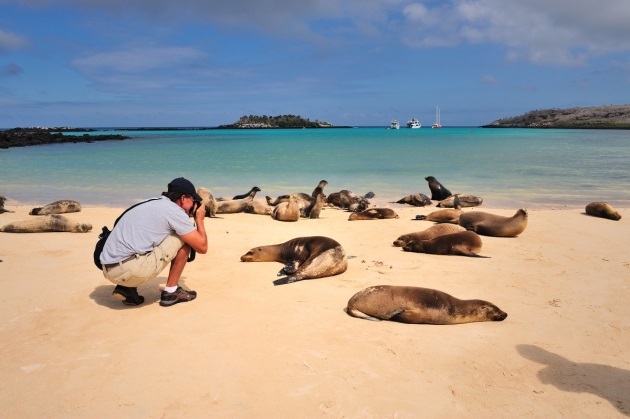 Visiting the Galapagos Islands is a huge bucket list prize. Mostly because getting to these parts requires a good deal of flying and often involves a cruise. An alternative to ships and crowds is the quiet peace to be found by staying at Pikaia Lodge, where Galapagos turtles, blue-footed boobies, Galapagos penguins, imposing iguanas and sea lions that play with swimmers are in abundance and enjoyed on terms that guests set for themselves. Luxury yachts take small parties to some of the best coves in the archipelago for experiencing rare wildlife. Nights are quiet and spent listening to waves and peering at the stars. Accommodations are large, luxurious stand-alone spaces with private terraces overlooking the waters. What to Do? Because guests choosing Pikaia Lodge are not ship-bound, they can choose to bike around the island and commune with enormous tortoises or go into town for some local culinary adventures. They can board the lodge’s private yacht for a day of island and cove hopping, including naps in the yacht’s private cabins. Expert Tips: Pikaia Lodge’s private yacht M/Y Pikaia I is like having your own private vacation where you can observe wildlife, go hiking, swimming, sea kayaking, snorkeling and return late in the afternoon to rest up at the lodge before dinner. In addition to land and sea explorations, scuba diving, fishing and mountain biking can also be arranged. Why Go: The super luxurious Silversands Resort on Grenada’s Great Anse Beach is the Caribbean island’s newest resort with 40 decked out suites and nine stunning residences. The tiny island nation is perhaps best known for its medical school and its sizable export of nutmeg, known as “black gold” in these parts and giving Grenada the moniker of “the spice island,” but now adds a few more notables to its list. Silversands shows the deft talent of Paris-based architects AW2, which lists Six Senses Con Dao, Phum Baitang in Siem Reap, the Amanjena in Marrakech and the Patek Philippe store on London’s Bond Street, among its noteworthy projects. Silversand’s open-plan suites range in size from 580 to 1,647 square feet in one- to three-bedroom configurations, each offering a view of the beach or the hillside. What to Do: Climb to Fort Frederick at the top of Richmond Hill to experience sweeping views and preserved relics of the island’s colonial past. Check out the waterfront promenade at Carenage and stop for some crab soufflé or pan-fried barracuda wrapped in bacon, with a sauce mixed from crab and lobster meats. Most places in Grenada are reachable within an hour by car. Expert Tip: Explore more than 10 waterfalls hidden in the island’s amazing rainforests. Why Go: Half Moon in Jamaica’s MontegoBay opened in 1954 — just around the time that the first “Tonight Show” aired (with Steve Allen), the packaged TV dinner debuted, and Marilyn Monroe married Joe DiMaggio. Needless to say, the legendary beachfront resort is still going strong, especially as it debuts with a new look and feel. The resort that hosted the royal family, President and Mrs. Kennedy, and, more recently, the late George H.W. Bush, is relaunching following a $75 million renovation. The project has included a total reimagining of the property, with a new entry and Great House, 57 new rooms, expanded beachfront areas, an adults-only swimming pool, two restaurants and even a vegan cafe, among other additions. What to Do: Explore the circa-1770 Rose Great House to get an idea of the island’s storied and often lurid past and possibly catch the ghostly sighting of Annie Palmer, better known as the White Witch of Rose Hall. Take a rafting trip down the Rio Grande; try a championship golf game at Half Moon Golf Course, one of the top courses in the Caribbean. Expert Tip: Try some authentic jerk chicken in Boston Bay where it was created by escaped slaves who gathered there and needed a way to cook their food without making the telltale smoke. Three Camel Lodge in The Gobi, Mongolia. Why Go? Few places remain as remote and pure as the 604,000 square miles of grassy plains, desert pans and mountains of Mongolia. Here, the horse and camel remain the main modes of transport; the canvas yurt is the shelter of choice and the way of the warrior is still the mantra in a land still lodged in the days of Genghis Khan. For bucket list questers, Mongolia will prove a star conquest, full of unusual experiences and memories. Nomadic Expeditions, based in New Jersey, is the pro-expert for travel to Mongolia, whether group, party of individual. Guests will stay in a luxurious yurt at Three Camel Lodge and be treated to feasts fit for a 14th-century empire builder under endless windswept stars. Nomadic Expeditions also runs unusual historical adventure explorations into Nepal, Siberia and Tibet. What to Do? Hunt for dinosaur eggs in the rocks of the Gobi Desert; ride with noble horsemen on the steppes of Mongolia; ride the Silk Road by train from Moscow to Almaty crossing once-treacherous no-man’s lands and visiting 6th century outposts that eventually opened up this world to western civilization; follow your path to Tibet to meditate at the roof of the world. Expert Tips: The Gobi Camel Festival is an unusual take-in. It happens during the winter fest in March. The gathering near Dalanzadgad is quite a colorful spectacle and celebrates everything Bactrian. Why Go: A visit to Singapore shimmers with all the possibilities imagination can give it. The tantalizing mix of European, Chinese, Malay, Indian and other ethnic influences plays out in the arts, the shopping, the architecture and design and, of course, the exquisite culinary adventures to be had. Most recently, Six Senses Hotels, normally focused on stunning remote settings along ocean shores or mountain meadows, opened its first urban signatures in Singapore: The Duxton, and The Maxwell in the middle of Singapore’s vibrant Chinatown district. Both properties, easy ambles from one another, are impressive remakes of preserved 19th-century heritage buildings, and each reflects the signature of an internationally renowned designer. What to Do: Take the Flyer. The Singapore Flyer is always a must with 28 air-conditioned pods that can each accommodate up to 28 passengers. At 541 feet, it had the title for tallest until the 550-foot High Roller opened in Las Vegas. Still, it remains the best place to get a bird’s eye view of the Lion City and beyond. Then visit the National Gallery of Singapore — a crown jewel in the art world. It is housed in early-20th-century Supreme Court and City Hall buildings supported by Corinthian columns and accented with glass and houses the largest public collection (8,000+ works) of modern art in Southeast Asia, from the 19th century to present day. Expert Tips: Singapore Airlines started nonstop service from SFO to Singapore in November. The new long-range flights have no regular economy seating – just 67 seats in business class and 94 in premium economy. The Singapore-bound flight that recently launched from Newark clocks in at 18 hours, 45 minutes as the world’s longest nonstop. Flights from San Francisco run around 17.5 hours, long enough to watch six movies and read a good thriller. Why Go? This is a home, not a hotel, and gives guests the true feeling of warmth and belonging and all that goes with be welcomed into somebody’s home. At Ett Hem, find just 12 rooms and suites in this cozy mansion that is a mere three-minute walk from Tekniska Högskolan metro station, and easy walking distance of the Stureplan shopping, museum and dining district. What to Do? Stockholm is stacked with museums, experiences and activities: try Gamla Stan, the Old Town, the Royal Palace and the Vasa Museum for starters. Expert Tips: Like any home, you can have your meals where you choose: Eat in the kitchen or perhaps a bit more formally in the library, or enjoy the garden in the cooler months from the Greenhouse. The kitchen is a favorite, though — with a grand family style table that invites conversations and plenty of treats to nibble on filling the counters and shelves, just as you would find in any home. 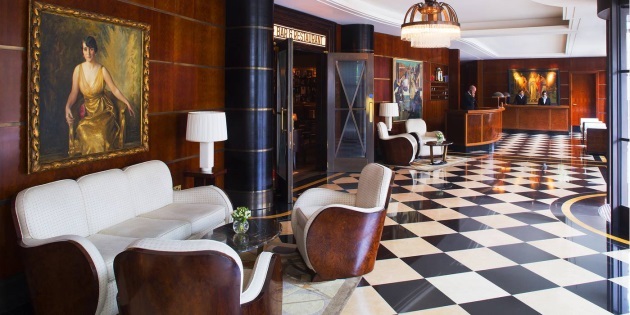 London’s The Beaumont is one of the world’s most renowned luxury hotels. Why Go: If you were playing Monopoly in London, Mayfair would be your Park Place. And if you were to put a hotel on that square, it would undoubtedly be The Beaumont. The hotel opened in 2014 following an extensive redo that turned the former 1926 car park into one of London’s most fashionable addresses. The property, with its 73 rooms and suites, offers a post-modernist imprint amid the precious Georgian residents of Mayfair — just a few minutes’ walk away from Selfridge’s and overlooking Brown Hart Gardens. As an unusual take-in amid the mostly art-deco themes at the Beaumont, British artist Antony Gormley, whose haunting sculptures grace parks and popular public galleries and buildings all over the U.K., Europe and the U.S., was invited to use The Beaumont as a canvas to create a living work, called ROOM. It pushes out from the face of the Beaumont’s exterior to become a room of its own – a veritable cathedral in a cubist block design. Inside, it is a stunning suite that can be booked by the night. What to Do: Find iconic Hyde Park to the west and the ultratrendy West End to the east. More energetic walks might mean Kensington Gardens, adjacent to Hyde Park, or the trendy center of Piccadilly, perhaps a 20-minute walk away. Expert Tip: Head to Selfridges for a session with Jayne Wallace, leading member of the Psychic Sisters, who have been an attraction within Selfridges for more than 13 years and a favorite with top celebrities (Kate Hudson, Kylie Jenner, Janice Dickinson, Kim Kardashian and Diana Madison among them). Why Go? Twin Farms may be Vermont’s best kept secret. The Relais & Chateaux property is the latest iteration of an estate once owned by author Sinclair Lewis and journalist Dorothy Thompson, now reimagined with original works of David Hockney, Frank Stella, Jasper Johns, Roy Lichtenstein and other celebrated masters of our time. Winter is an especially wondrous experience at Twin Farms, with endless cross-country ski trails, Snowshoeing, Ice Skating and bragworthy dinner and weekend programs — all within four hours from New York City. Privacy is at a premium at this fully inclusive resort. Only 20 cottages and rooms here to sleep a maximum of 40 guests and most of the rooms present their own inspiration. What to Do? Have a private gourmet picnic on a mountain or lake on the property’s 300 acres. Head to Killington Ski Area, 45 minutes away. Explore quaint New England villages for antique stores and maple products. Expert Tips: Go exploring in the forest on cross country skis or snow shoes. Come back for a little cognac by the fire and then head to the Bridge House Spa for an amazing soak in the Japanese furo surrounded by cathedral windows looking over the frozen meadows. All photos courtesy of suppliers.